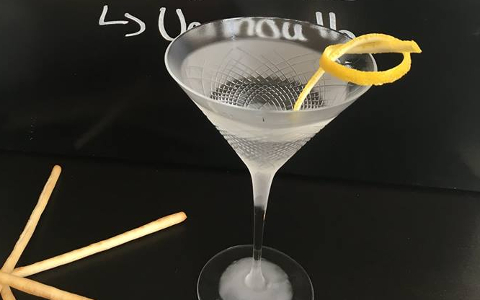 DIETER MEIER, the originator of this exceptional gin, is a Swiss musician and conceptual artist, front man of the band Yello, known for the hit song song 'Oh Yeah' featured in the film "Ferris Bueller's Day Off." It was a pleasant surprise for Oliver Matter last Autumn when Dieter Meier introduced himself on the phone. As a wine lover, Oliver had already been familiar with his wines - it wasn’t at all necessary for Meier to explain who he was and what he did. For already a decade, Dieter Meier has been producing organic wines of outstanding quality at his vineyard and farm in Argentina. For his next important project, he wanted to create a Gin with Argentinian characteristics. Spirits expert Adrian Baumgartner advised Meier that Oliver Matter was THE man to talk to in Switzerland. After only a few conversations,everybody agreed to this unique project, so Baumgartner, Meier and Matter started developing a formula containing not just basic Gin botanicals, but also lemons from Tucumán, Yerba Mate, Brandy distilled from Meiers own Malbec wine and eau de vie made from specially distilled blackberries from the Ojo de Agua Farm. 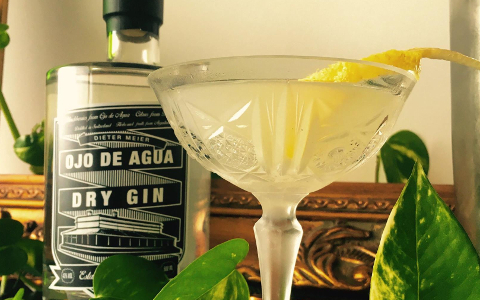 This special Dry Gin with Argentinian roots has been distilled with perfection in Kallnach, Switzerland and will be commercialized at the end of March 2015. Botanicals: Juniper, Coriander, Lemon Peel, Orange Peel, Yerba Mate, Angelica Root, Rosemary, Lavender and other additional botanicals. A ratio of 110 grams (almost 4 ounces) of select botanicals are added to the alambic for each liter of pure grain alcohol, macerated for a day, then distilled three times. Particularities: This Gin also contains approximately 15% of Malbec grape Brandy made from Meiers' own powerful 'Puro' wine. In addition, Oliver Matter has made a wonderful eau de vie from blackberries from Meiers' Ojo de Agua Farm, which is skillfully blended in, for the equivalent of 100 grams of blackberries per each liter of Gin. 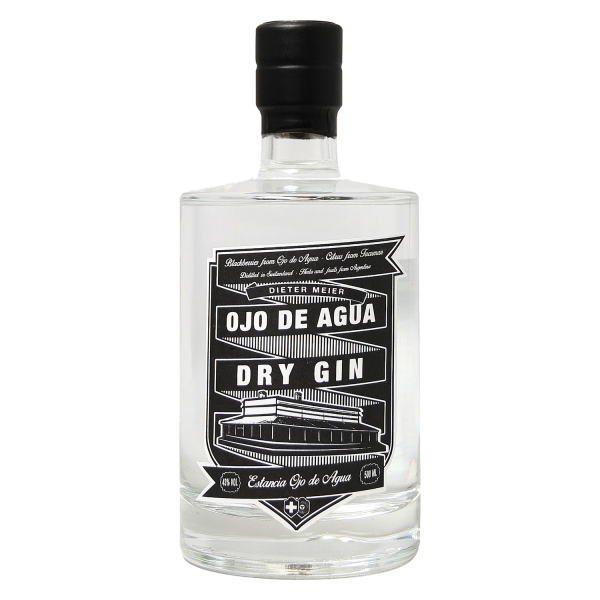 Related links to "Ojo de Agua Gin"
Customer evaluation for "Ojo de Agua Gin"